Personal Injury Attorneys Serving Pinellas, Hillsborough County AND throughout all of Florida. Suffering a serious personal injury or losing a loved one in a preventable accident is devastating. In the aftermath of such a life-altering event, you’re likely to encounter many emotional, physical, and financial hardships. However, don’t endure these struggles alone. 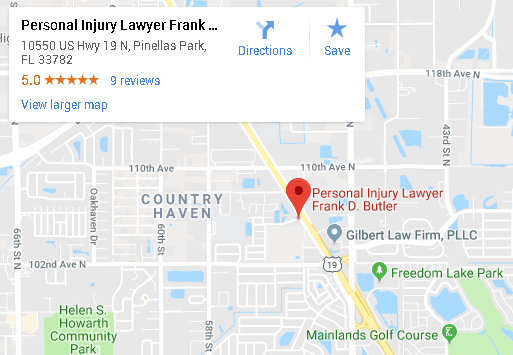 For over two decades, the Law Offices of Frank D. Butler, P.A./Fighting For Families has helped accident victims and their families in Tampa Bay, in Pinellas County, and throughout Florida take the necessary steps to get their lives back on track. The firm’s founder and lead personal injury attorney Frank Butler is a tireless advocate for those who were injured due to the negligence of others. 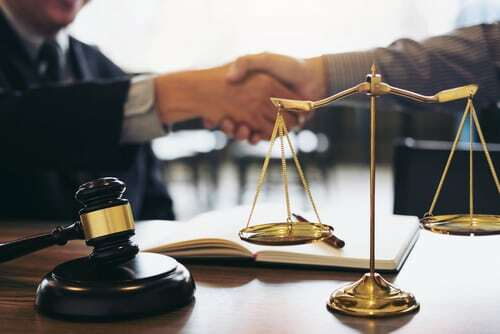 He and his team also understand how the personal injury claim process works and can effectively present your harms and losses to the at-fault party’s insurance company or attorney. With our firm by your side, be confident that we will tenaciously pursue compensation that is commensurate with your personal injury. This includes medical bills, loss of income and pain and suffering. Fighting For Families is not just our name. This is what we do. We do not represent insurance companies. We represent the people of Tampa Bay, Pinellas County, and throughout Florida. If you were seriously injured and have questions about your rights and legal options, contact us to schedule a free consultation. From the moment you become our client at Fighting For Families Law Firm, we begin working on and investigating your case. Ask us what we do that few other firms do when you first come through our doors. Our further goal is to create a safe space where you can discuss your accident and its impact on your life and the life of your family. We could “fight” for insurance companies or corporations, but we have chosen to fight for you, to fight for you and your family. That is our promise: that we do not and will not represent any insurance company. Together, we can chart a course forward that enables you to concentrate on your recovery while we seek to secure the justice you deserve. Rely on Proven Experience. Don’t take a chance. This is your claim. It is important you get it right. Review your case for liability, causation, and damages. Check with treatment providers to make sure you receive the medical treatment you need. The investigation — gather evidence, review your medical records, and interview witnesses. Handle all aspects of the injury claim process from the initial filing to also preparing a settlement demand package. Leverage access to a network of investigators and expert witnesses to prove the extent of your personal injury and substantiate your claim. Calculate the true value of your claim taking into account long-term medical care and also how your injuries will impact your earning capacity over time. Ensure that all relevant paperwork is filed within restricted deadlines. Represent your interests in settlement negotiations with the at-fault party’s insurance company. File lawsuit in court if negotiations fall through. Seek prompt medical attention. Your health should be your primary concern and your injuries need to be diagnosed and treated. 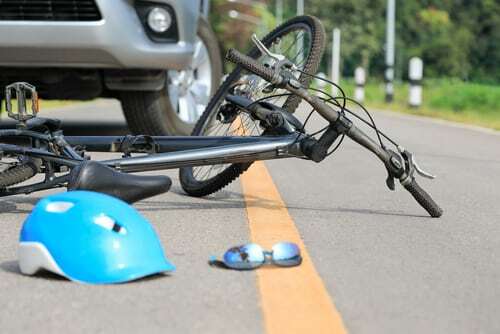 If you were injured in a motor vehicle accident, report the accident to the police and also request that they come to the scene and write up a police report. 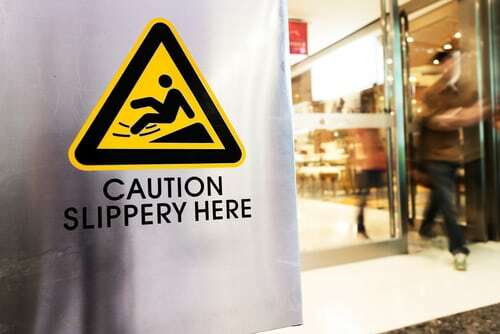 If you were injured in a public establishment such as a grocery store, report your injury to the store manager and get a copy of the accident report. For motor vehicle crashes, get all available information from the drivers involved including phone numbers, license plate numbers, driver’s license numbers, and insurance information. Write down the names and contact info of any witnesses. Take photographs of the scene, the vehicles, and any visible injuries. Report the accident to your insurance company, but talk with us first. In almost any type of personal injury case, you will find yourself dealing with an insurance company. This could be your own insurer or the insurance company representing the person who hurt you. Insurance companies build their brands on the premise that they can be trusted when a crisis hits. Their slogans and taglines promise that “you’ll be in good hands.” As a policyholder who faithfully pays their premiums, you expect your insurer to be there when you need them most. The unfortunate reality is that insurance companies don’t always have your best interests at heart. An insurer is first and foremost a profit-centered business. In fact, their goal is to collect the most in premiums by minimizing the amount they pay out in claims. At the Law Offices of Frank D. Butler, P.A., we witnessed firsthand the various tactics insurance adjusters use to delay, underpay or deny a valid claim. When we get involved and take over communications with an insurance company, they know that we mean business. We aren’t afraid to take them to court to get a fair deal. Don’t give a recorded statement to any insurance company unless you have consulted with your attorney first. Insurance adjusters are trained to get you to inadvertently say things that can damage your case. Don’t sign anything until an attorney reviews it. Insurance companies often request many years of medical records in order to identify any “pre-existing conditions” you may have. Don’t release your car to the insurer unless you have multiple photos of the vehicle documenting the property damage. Don’t accept a quick settlement. While it may seem enticing to be offered money right away, don’t take the bait. The first offer is almost always a lowball offer that will not adequately cover your losses. This is an attempt by the insurance company to resolve the case quickly so that you won’t pursue the amount you deserve. Florida operates under a “no-fault” system when it comes to vehicle crashes. This means compensation can be awarded regardless of who is at fault. So, if you or a loved one sustained injuries in a car collision in Tampa, Pinellas County, or any other part of Florida, your own insurance company covers you initial medical bills, this allows you to go to the doctor of your choice and not have to wait on the other guys insurance company. As a driver in the state, you are required to carry two types of auto insurance — personal injury protection (PIP) and property damage liability. After an accident, PIP benefits will pay for 80% of your medical expenses and 60% of your lost wages up to $10,000. Benefits cover up to $10,000 of any damage you cause to another person’s property. In order to take full advantage of PIP benefits for medical bills, you must seek medical treatment within 14 days of the accident. Failure to do so can limit benefits to $2,500. PIP also provides up to $5000 in death benefits. You need to get checked out within that first 14 days. We look to at-fault drivers and their insurers to cover your medical bills, lost wages, and pain and suffering. Pain and suffering isn’t only your physical pain, it also encompasses emotional distress, any permanent injury, loss of enjoyment of life, suffering in the past and in the future. We are advocates and fighters for our injured clients. We learned long ago that success for our clients means success for us. You will be kept up to date on your case. You will not have to wonder if we are working hard on your case. We promise that you will be known by your name here, not a number. Comparative fault is the law in Florida since Hoffman V. Jones, 1974. It’s possible that the at-fault party you are seeking compensation from will turn around and blame you. Therefore, if they can prove this, your recovery will be reduced by an amount equal to the percentage of your liability. This means that if you are found to be 25% at fault, your compensation would be reduced by 25% (i.e. if your damages cost $100,000 in damages, you can only collect $75,000). At the Law Offices of Frank D. Butler, we will fight to limit your percentage of fault to maximize your recovery. We use expert witnesses in accident reconstruction, engineering, human factors, etc., to fight claims of comparative fault. Some of these factors can give rise to punitive damages and we pursue them. Pinellas County is home to some of the most dangerous highways, interstates and intersections in Florida and around the country. 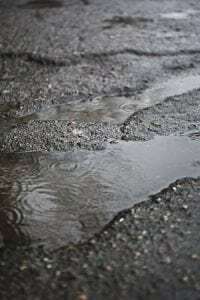 In fact, the most serious injuries and fatal accidents occur on the area’s most traveled roads — namely U.S. 19 and Interstate 275. U.S. 19 in North Pinellas County consists of six lanes stretching 30 miles up the Gulf Coast. Multiple lanes of traffic intersecting at high speeds makes this highway the most deadly in the state. Interstate 275 in central and southern Pinellas has random entrance and exit ramps that often lead to sudden merges in traffic. Pinellas County is also known for having the highest fatality rate for pedestrians involved in traffic crashes among urbanized Florida counties. If you live in the Tampa Bay area you know that I-75 at the airport exits, and Dale Mabry, and at the I-4 junction are very dangerous, as well as the LeeRoy Selmon expressway which during rush hour resembles a race track event. Florida’s year round sunny weather and access to beaches and the ocean make it a paradise for those who love swimming, jet skiing, boating, and other watercraft activities. While being out on the water is one of the most enjoyable aspects of living in the Sunshine State, it’s also an environment ripe for catastrophic or fatal injury. In fact, the combination of high speeds, sharp propellers, and unpredictable waters can lead to devastating outcomes. Florida,, leads the nation in boating accidents. According to statistics compiled by the U.S. Coast Guard, there were 684 boating accidents in Florida alone in 2016, up from 671 the year before, and 581 in 2014. The report also found that alcohol was associated with 15% of boating deaths. 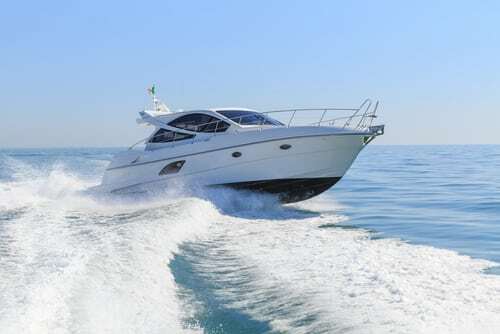 Florida law considers boats and other vessels a “dangerous instrumentality,” and as such boating operators are held to a heightened standard of care. Additionally, operators have a duty to operate their vessel is a reasonable and prudent manner to ensure the safety of other boaters, guests, and property. If you suffered an injury on a vessel at sea or on the inland waters of South Florida, our boating accident attorneys will utilize their knowledge of the maritime law to help win you compensation. In addition to operator negligence, boating accidents can also be caused by manufacturers and sellers of faulty equipment. If you make your living on the water as a merchant seaman or longshoreman and were badly injured in an accident on navigable waters, you may be entitled to compensation and benefits under the Jones Act. This federal law allows you to file a direct lawsuit against your employer or ship-owner for damages you suffered on the job. In fact, benefits include maintenance and cure. Maintenance is a monthly amount of money for you to pay your bills while you are recovering from your injury and cure is compensation for medical expenses associated with your injury or illness. The Jones Act is covered by federal law and we have handled these claims for more than 20 years. Golf carts are a way of life in the Sunshine State. Not just limited to the greens and fairways, golf carts have also taken the place of cars as the preferred mode of transportation in many residential neighborhoods and retirement communities. While these small motorized carts may not seem threatening, they can actually inflict great bodily injury. In fact, under Florida law, golf carts qualify as a “dangerous instrumentality” which means it has the potential to cause serious harm. Golf carts are heavy, weighing up to 1,000 pounds and lack safety mechanisms such as side doors, airbags, seat belts, and signal lights. According to the Consumer Products Safety Commission (CPSC), there are 15,000 golf cart related emergency visits within the United States each year. In fact, Florida golf cart accidents are on the rise and victims frequently include the elderly and children. If you were injured in an accident involving a golf cart, our firm can assist you with your golf cart accident injury claim. 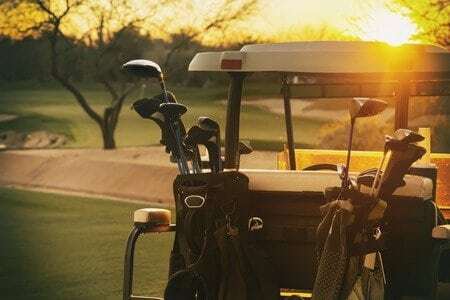 Depending on the circumstances of your case, we can pursue a claim against the negligent party, whether it’s a golf club operator, automobile driver, owner or manager of facilities where golf carts are loaned or rented or the cart’s manufacturer. See our website at www.golfcartattorney.com for more information. The dangerous condition persisted for a long enough time that a reasonable person should have discovered and remedied the condition before the slip and fall. We have handled many cases against department stores, grocery stores, hardware stores, and restaurants, etc. The injuries can be quite devastating. While many attorneys avoid these cases, we welcome them. Leaving a surgical tool inside a patient’s body that results in sepsis; prescribing a medication that a patient is allergic to; failing to order diagnostic tests when cancer symptoms are present — these are just some examples of medical errors that constitute medical negligence or malpractice. Medical malpractice is, unfortunately, more common than people realize. In fact, a new study by patient safety researchers revealed common medical errors may be the third leading cause of death in the U.S., after heart disease and cancer. Additionally, common liable parties in a medical malpractice lawsuit could include doctors, nurses, and hospitals. If you have been a victim of medical malpractice or have tragically lost a loved one due to a preventable medical error, you may be entitled to compensation. We will thoroughly investigate the accident and gather testimonies from any doctors, nurses, or medical staff present at the time of your treatment or diagnosis. In compliance with the law a reputable medical provider who will review your records and provide a written medical opinion stating whether the healthcare provider that treated you provided treatment that fell below the accepted standard of care in the medical community. 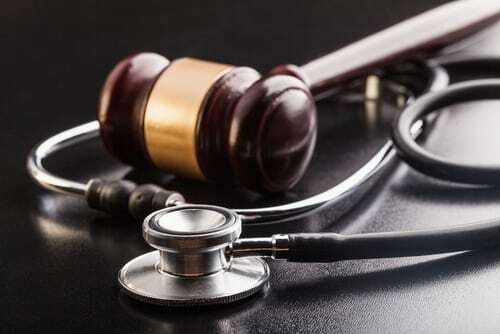 Once this is established, we will notify the at-fault healthcare provider via certified letter informing them that you are bringing forth a medical malpractice claim. There is a 90-day mandatory pre-suit investigation phase. During this time, we will exchange information with the medical provider and his/her attorney in an attempt to settle the case. Also, if the health care provider is unwilling to admit culpability and make an offer to resolve the claim, we will not hesitate to go to trial and fight for what you deserve. If you have been seriously injured and have questions about your rights and legal options, contact us to schedule a free consultation. Pinellas: (727) 399-2222 Hillsborough: (813) 999-2221, Florida: 800-253-2531.